The American Academy of Sleep Medicine (AASM) often is a resource on the topic of sleep for top media outlets across the country. 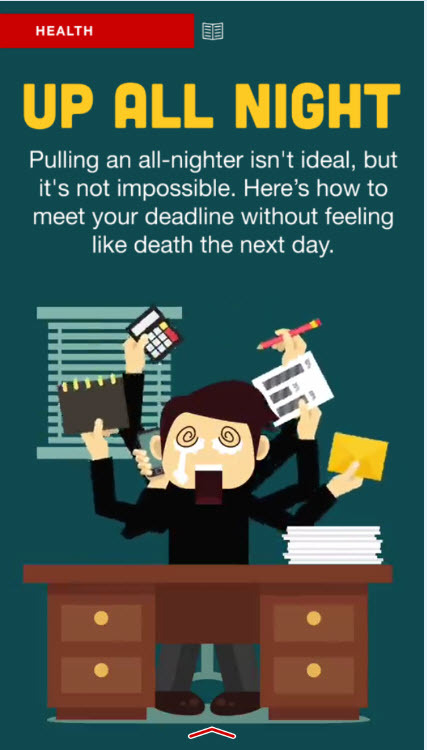 We recently worked with CNN.com on a story about pulling all-nighters (which is not recommended by the AASM, for the record!). The story appeared as part of a back-to-school special report on CNN’s Snapchat Discover channel, a Snapchat news resource that was launched earlier this year.The story was live for two days, which is consistent with the platform’s fast-moving nature, and reached more than one million people. It was a great way to get out our AASM messages out to younger audiences and educate them on the importance of sleep!